Vaillant Group International GmbH has been founded in 2012 and has the aim, to represent the main brands of Vaillant Group in those countries, where so far no separate Vaillant Group sales company is presented. We want to develop new and existing markets for our customers. 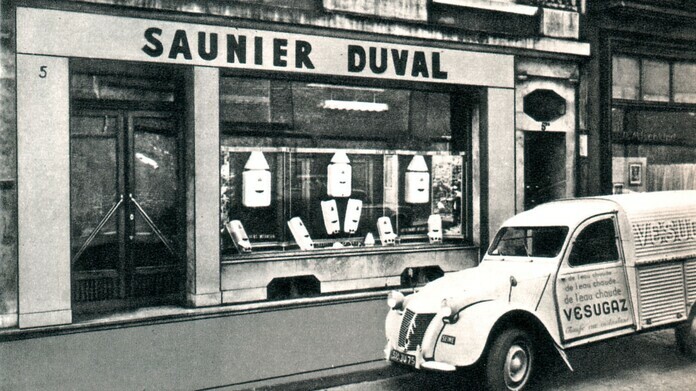 Saunier Duval is a leading brand for heating technology, having its origins in the French market. It has been manufacturing reliable products for more than 100 years, products that have one main attribute in common: the ability to prove their excellence, day in, day out. Alongside product quality, we attach great importance to partnership based on trust. After all, providing extensive, competent service serves to complement the high, reliable technical quality that characterizes our product range. And whilst product and service excellence are our strengths, we also pride ourselves in always being within easy reach and approachable – in order to make your life easier. At Saunier Duval, we have a clearly defined range of products. This includes non-condensing and condensing boilers that supply homes with warmth and hot water, heat pumps that are used to support renewable energy systems and high-quality solar-powered solutions and air conditioning appliances. All of our products are manufactured using proven technology and highest quality materials – because we know that this is the only recipe for guaranteeing maximum quality in our products. We are a company based on partnership and fairness, and have both a wealth of experience and of expertise to offer. We pride ourselves in always being at our customer´s side. The high quality of our work is continually being put to the test by independent institutes – and this increases peace of mind in our customers. But what distinguishes us most of all is the incredible durability of our products – and this promotes trust. With more than 100 years of experience we have a rich history of being a trustworthy partner since 1907.